You have a universal mind, you can be taught anything and you will be successful in it. So it is up to you which direction of knowledge to choose. However, you should choose one sphere of interest and the second one should always be arts, in order to broaden your outlook and reveal your potential fully. 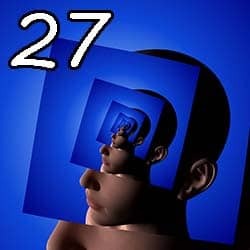 People born on the 27th day of the month are often great artists. You need to try yourself in various areas before choosing one to specialize in.